I remember when I had Zeeka. I wanted to frame and keep everything — from how little her hands were, to hair from her first haircut, etc. As parents, we want to preserve these things to show our children when they grow up and for us to preserve the happy memories. This is the mission of Cast for Keeps, a small business in the Philippines. I had a chance to interview Andrea. Andrea Aranas is the Managing Director of Cast For Keeps and this is her story. Andrea: I am a spontaneous person. I love random things depending on my mood and as of now I am into crafts and vlogging. But the things I like that will never change is public speaking, hosting, playing sports, and trying new things. I have a small family – it’s just my husband, my daughter and me. My husband and I have been married for over a year. We love travelling by car, but we don’t really go to specific destinations. We just love to go on joyrides. I never had the chance to work as I started crafting my own business, but I want to work with public schools and help the less fortunate as this has been my advocacy since I was in grade school. I have a passion for helping the needy, especially children from to broken families. Andrea: I do lifecasting. Where I use molds and casting techniques to capture 3D copies of the hands and feet of my clients and turn them into rare memorabilia. I only started this year. Andrea: The first lifecasts I did were for infants’ hands and feet. Then, I realized other members of the family deserve to have their own keepsakes. Lifecasting preserves the memories of my clients’ their babies and children as they grow. Then, beginning this month, I am trying out a product to cater to corporate clients. Andrea: I saw it randomly on the internet and thought it was cute, then I got curious and wanted to try it out. my ingredients are shipped from Australia. Andrea: Well, many Filipinos are hesitant to splurge on memories. They’d be more practical. Andrea: Willingness to take risks. Patience. Perseverance. Ginger: What are some unforgettable moments or lessons that you learned as an entrepreneur/startup founder? Andrea: You will always lose money in the beginning, so you should really work on capital first if you do not want to take too big a risk. Andrea: Do what you love to do, but be creative. Andrea: Personally, I resell. Then, I declutter and try selling things I son’t need or making something out of them that will easily be sold. Ginger: How do you market your products? What’s your growth strategy? Andrea: Facebook, of course. Also advertisements, tie-ups, sponsorships, and, most importantly, word of mouth. Andrea: Nothing much. Just my smartphone. Ginger: Thank you so much, Andrea, for sharing some tips and your experiences 🙂 And we have good news for my dear readers! Andrea will be giving away 1000 off for any services. Tell us why you want to win on the comment section below! Did you have a sweet Valentine’s Day? Don’t fret because going to S&R Membership Shopping can give you the right amount of sweetness that you crave for! We did our monthly grocery shopping at S&R and I took note of the products that you might be interested in having or in giving this Love Month. These cookies in these cute bear tin cans can melt anyone’s heart. 2) Looking for the perfect gift for mom this love month? Check out these three products from Ariete: The Ariete Popcorn Maker at Php 1599 from Php 2199, The Ariete Hotdog Maker at Php 2199 and the Ariete Cotton Candy Maker at Php 3299 from 4299. These stylish and vintage looking equipments are sold at lower prices at S&R. 3) For mallow lovers, this Trufettes de France Orange Mallow Dark Chocolate – Chocolat Noir will be perfect! 4) If you have not tried this, you are missing out on life, sister! This Pepero Double Dip is one of my favorites! A big box has 8 packs and I can finish 3 packs in one sitting. This is available at S&R for only Php 299.95. 5) The Classic Brown & Haley Roca Collection is one of the most loved and sought after chocolates! The boxes includes these two flavors: Almond and Dark Roca. 6) My daughter loves this! I think other kids will love it, too, since these M&Ms in tubular containers doubles as a wand for them! haha! 7) This Witor’s Il Boero Chocolate is to die for. In this classy container comes little pieces of chocolate that makes every calorie worth it! Forget about the calories, this dessert is to die for! 8) Now the first of the simple looking desserts is the Talenti Gelato. The packaging is very simple, but it’s super yummy! Try the Salted Peanut Caramel Ice cream and tell us what you think! 9) Now, the second very simple looking dessert, but is super yummy, too, is Holly’s Yoghurt. This is also one of my favorites! It’s not too sweet. It had the right amount of tartness. This is something that you must buy! 10) For those who love milk, lemonade and coffee, these drinks from Califia are amazing. I also love the shape of the bottle! I bought Almond milk and it’s perfect for snacking! 11) If you’re not one to express feeling through words, then this gigantic cookie may help you out. 12) For the men in your life, a bottle of wine will show them how much you care! These are some of things that can make your Love Month sweeter than ever! Head over to S&R and try out these things! Let me know which ones are your favorite by using #LoveSnR and #SnReveryday! Visit the S&R Member Shopping page for more information on discounts and promos! Hey, I’m Jaycee Recto. I am the father of 5 kids. I am a natural designer on both traditional and digital medium. I graduated at Far Eastern University for free by being an Athlete. I love Football but being 36, my body is disagreeing with my brain. I never thought I’m gonna cook. Bagwings is a food concept that we made based on another thing that Filipinos love to do, and that is drinking. We started with a menu that was built to be the ultimate “pulutan” selection, but then something happened, we noticed that people were ordering rice from the next stall after ordering Bagwings , so, we decided to make it a full-on rice meal concept. 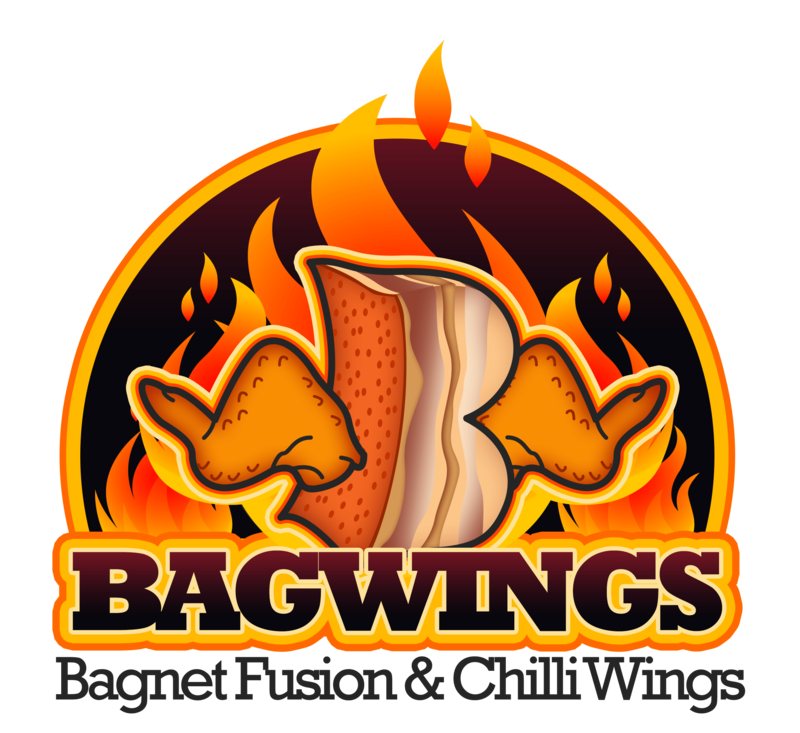 Our signature Bagwings dish is a mixture of roasted pork belly, chilled then deep-fried to perfection to attain that Northern and Southern fusion (Ilocos bagnet + Cebu Lechon) paired with fried chicken wings in various flavors glazed with our famous Bagwings chili oil. Ginger: What is your Startup/brand/business? Ginger: What is it about? Jaycee: Bagnet Fusion and Chilli garlic wings. Ginger: How long have you been in business? Ginger: Who is your target market? Ginger: Why did you choose this market? Ginger: Can you give us the insight behind this market? Jaycee: You can never go wrong with fried chicken and pork. Ginger: How did you come up with this idea? Jaycee: I was drunk…It’s a long story…. Ginger: What made you decide to start this kind of business? Jaycee: The quest for quality pulutan…turned into a meal. Jaycee: Here in PH, the government is really unclear about the laws/rules in start-ups. Being a foodtrucker, there are no governing laws. There is a wide range of market but to be able to serve them the first road block is the government. Jaycee: Value for time, endless patience, respect for MATH and Diskarte. Ginger: Unforgettable moments or lessons that you learned as an Entrepreneur/Startup Founder. Jaycee: Learn when you fail. Jaycee: Loan and external investments. Ginger: How do you market your products? Jaycee: Social media and proper exposure of brand in your location. Jaycee: Quality should never be compromised by volume. Jaycee: In marketing we are also Online. POS system in monitoring cash. Hi-end kitchen equipment for streamline production. Ginger: Other things that you want to mention which you think are important. Jaycee: PASSION is NOTHING WITHOUT ACTION. Life is complicated. That’s a reality that each one of us needs to accept. My life is not perfect, and it may seem to be, but under the scrutinizing eyes of of someone more mature, they may be able pick out a lot of flaws and imperfections. No matter how much we strive to make our lives perfect, it will never be. So, do we just throw in the towel, and live life miserably. No! Of course, not. What makes life exciting and worth living is practically that. We go through life wanting to live it to the fullest (may be not perfect). Each and every breath leads us to things that are new, ideas that haven’t been uncovered, decisions we make that surprise even ourselves. I was talking to a company last week that mentioned their goal (it was a really great goal), which was to help people achieve success. It truly is wonderful to see a company that aims to achieve that. It was refreshing to see a company go beyond products and services, and to have its main motivation to make it a point that me, their consumer, achieves success. But it got me thinking, do we really know what our own definition of success is. For the businesses that we create, it may be easier to define. Having a sustainable, profitable business may be it. And to add to that, some of us may even add a higher purpose to what our business is all about. But this is for our business. What about us? We often attach ourselves too much to the business that we have (it’s really hard to separate and some may even say that it’s not really a business but a passion, so it will never be separated), but is the business’ success your own definition of success? I personally see businesses as a tool to get you to your own definition of success — a means to an end. Some may see traveling the world as their own “end”; being a simple nomad and an advocate of discovery. Others may see living a simple life with no worries surrounded by loved ones as their ultimate dream. Others see that their ultimate “end” is having no end to what they are currently doing, since it’s their passion. It’s something to think about. What is your end? What is your definition of success? Never forget that what ultimately matters is your own success. Success for me when you are happy with yourself, your choices and how you lived your life. When you are contented with your life, you are successful. You cannot compare your own success with other people, because we all live different lives. You cannot let competition drive you. You have to be your own worst enemy and your own best friend. Motivation will come from no one els, but you. This is the reason why YOU is the most important thing in this world. Look inside and you’ll find clarity. When my daughter was younger, she had this liking for anything that had Hello Kitty on it. How could you not love Hello Kitty? When I found out that there was a new collection that Tupperware Brands Philippines came out with that had Hello Kitty as their design, I just had to see for myself! I wanted to give it to my daughter as a Valentine’s Day surprise! These are the things that I got! For your little girl, these are the products that we will try! First off, they have this set that comes in a lovely fuchsia container. They have the Hello Kitty Kids Plus+ Powder, Hello Kitty Kids Plus+ Cologne and the Hello Kitty Kids Plus + Head-to-Toe Wash. It had a really nice flowery scent that you would love. I’m saying “you” would love, because we all know that we love cuddling and smelling our little toddlers! haha! And of course, we need something “matchy-matchy”. Every mother and daughter pair needs to have at least one item that both of them have. We already have matching clothes, so when I saw this, I really wanted to get both. The black Hello Kitty 425mL Eco Bottle is obviously for me and the red one is for my daughter. And for the mommies and big sisters, Tupperware Brands Philippines also has Hello Kitty Eau Fraiche made especially for you. I have the 60ml bottle of Pink, which was this very endearing glass bottle perfume in the form of Hello Kitty. They also have the Blue and Purple scents. It’s a very light frangrance that women-on-the-go (like me) would want. Here is a short unboxing video or me and my little cutie, Zeeka Eureka!